NEW YORK–(BUSINESS WIRE)–2K today announced that the Company is partnering with HB Studios to publish The Golf Club 2019 Featuring PGA TOUR®, the latest entry in the award-winning golf simulation series. Developed by HB Studios, The Golf Club 2019 Featuring PGA TOUR marks the franchise’s first release featuring the official PGA TOUR license and presents an opportunity, through the new partnership, to deliver the most comprehensive and engaging virtual golf experience to date for the series. 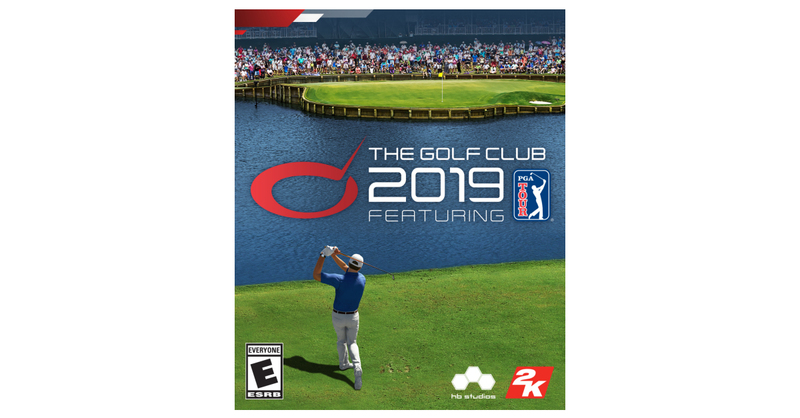 The Golf Club 2019 Featuring PGA TOUR is available now for digital download on the PlayStation®4 computer entertainment system and the Xbox One family of devices including the Xbox One X and Windows PC. In addition, physical versions of the game will be available at participating retailers this fall. The Golf Club 2019 Featuring PGA TOUR is rated E for Everyone by the ESRB and is available now for digital download on PS4™ system, Xbox One and Windows PC. In addition, physical versions of the game will be available at participating retailers this fall. For more information regarding The Golf Club 2019 Featuring PGA TOUR, visit thegolfclub2019.com, become a fan on Facebook, follow the game on Twitter or Instagram using the hashtag #TCG2019 or subscribe on YouTube. The PGA TOUR co-sanctions more than 130 tournaments on the PGA TOUR, PGA TOUR Champions, Web.com Tour, PGA TOUR Latinoamérica, Mackenzie Tour-PGA TOUR Canada and PGA TOUR Series-China. Members on the PGA TOUR represent the world’s best players, hailing from 25 countries (85 members are from outside the United States). Worldwide, PGA TOUR tournaments are broadcast to more than 1 billion households in 226 countries and territories in 23 languages. Virtually all tournaments are organized as non-profit organizations to maximize charitable giving. In 2017, tournaments across all Tours generated a record of more than $180 million for local and national charitable organizations, bringing the all-time total to $2.65 billion. The PGA TOUR's web site is PGATOUR.COM, the No. 1 site in golf, and the organization is headquartered in Ponte Vedra Beach, Florida. The statements contained herein which are not historical facts are considered forward-looking statements under federal securities laws and may be identified by words such as “anticipates,” “believes,” “estimates,” “expects,” “intends,” “plans,” “potential,” “predicts,” “projects,” “seeks,” “should,” “will,” or words of similar meaning and include, but are not limited to, statements regarding the outlook for the Company's future business and financial performance. Such forward-looking statements are based on the current beliefs of our management as well as assumptions made by and information currently available to them, which are subject to inherent uncertainties, risks and changes in circumstances that are difficult to predict. Actual outcomes and results may vary materially from these forward-looking statements based on a variety of risks and uncertainties including: our dependence on key management and product development personnel, our dependence on our Grand Theft Auto products and our ability to develop other hit titles, the timely release and significant market acceptance of our games, the ability to maintain acceptable pricing levels on our games, and risks associated with international operations. Other important factors and information are contained in the Company's most recent Annual Report on Form 10-K, including the risks summarized in the section entitled “Risk Factors,” the Company’s most recent Quarterly Report on Form 10-Q, and the Company's other periodic filings with the SEC, which can be accessed at http://www.take2games.com. All forward-looking statements are qualified by these cautionary statements and apply only as of the date they are made. The Company undertakes no obligation to update any forward-looking statement, whether as a result of new information, future events or otherwise.